You’re at a massive live concert and your favorite band is playing. You take a quick glimpse around and all you see is a sea of people with their smartphones up, recording, documenting, sharing. In doing so, these people not only fail to live the joy of the present moment, they might actually have trouble remembering all the nitty-gritty details later. Research has shown that when we take a photo of something, we have trouble remembering it later. One possible explanation is that we’re less attentive to an experience that we know is safely stored externally so we can revisit it later. Thus, we conserve energy, knowing that we can access the memory at a later point. However, a new study conducted by psychologists at the University of California showed that memory suffers whether people expect to access a photo or not. Transactive memory is a psychological hypothesis first proposed by Daniel Wegner in 1985 as a response to earlier theories of “group mind” such as groupthink. The idea is that people encode information not only internally, in their memory, but also externally — in diaries, in books, or even in other people’s memory. Transactive memory systems are built on this view of individuals playing the role of external memory for other individuals who – in turn – encode meta-memories (i.e. memories about the memories of others). For instance, a study performed by Linda Henkel, a cognitive psychologist at Fairfield University, which involved taking photos of paintings in a museum, showed that longtime friends created a shared memory system between themselves. One would remember certain details about the paintings, which the partner could not, and vice-versa. The University of California researchers performed a study that is based on Henkel’s work. They recruited 50 undergraduate students for the three experiments. In the first, the students were shown pictures of various paintings one by one. The students had to first snap a photo of the onscreen photo, then had 15 seconds to study it. In the second experiment, the students had to take a photo of the painting, only to immediately delete the photo afterward, then proceed to examine the painting for 15 seconds. In the last experiment, the students had to examine the paintings with absolutely no pictures involved. Ten minutes after the experiments were finished, each participant had to complete a multiple-choice memory test that evaluated what they could remember about various paintings. The participants had a poorer performance when they photographed the paintings compared to when they didn’t. In fact, they showed nearly the same level of performance, regardless of whether they stored the photo or deleted it. “So where do our findings leave snap-happy photographers and social media addicts documenting their daily lives? Although it remains to be seen whether the present results generalize to other types of conditions, they do suggest that taking photos can impair a person’s ability to remember the details of the experiences being photographed, an effect that appears to linger even after the camera has been put down,” the authors wrote in the Journal of Applied Research in Memory and Cognition. The findings suggest that offloading isn’t the main cause for memory impairment associated with taking photos. One explanation might be that taking a photo focuses the attention away from the scene that is recorded. There seems to be some weight to this hypothesis given the fact that previous studies have shown that automatic, wearable cameras that store images for later use do not result in memory impairment. In our case, however, each participant had the same amount of time at their disposal to study a painting distraction free whether or not they took a photo. Instead, the authors offer an alternative interpretation. According to their hypothesis, simply the act of taking a photo — which involves getting the frame right, stabilizing the focus and all the little things that go along — may produce the sensation that a proper encoding has taken place even though the focus has been on peripheral features. In other words, you can’t remember as well because you have the false idea that you made an effort to remember, when, in fact, you didn’t. Whatever the real explanation might be, this study offers yet another reason to disengage from our devices when immersed in important life events. With all those people taking photos, you might as well ask them for pics later while you relish the moment. 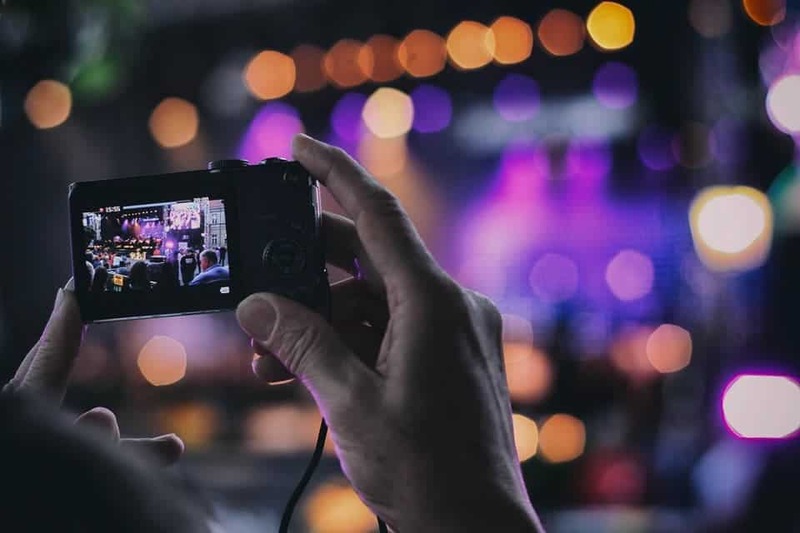 “To the extent that taking a photo does affect memory for an experience, whatever aspect of that experience that is impaired could remain impaired. For a truly memorable experience, therefore, it might sometimes be best to put the camera away,” the authors concluded.